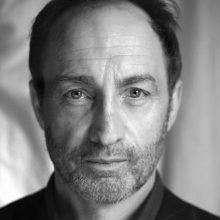 Michael McElhatton is a Irish actor from Dublin. He is probably best known for playing the role of Roose Bolton in the HBO series Game of Thrones which he worked on for five years. He has worked extensively in Film, Television and Theatre, his most notable recent credits include Chernobyl for HBO, Genius for National Geographic, The Foreigner and DC’s The Justice League. Michael has a vast experience in voiceover work on commercials, animation and documentaries.